I have discovered and learned a LOT! 1. This PMU Business has a huge learning curve – nobody starts out perfect and they STILL are not perfect after doing it for years. We pick apart every set of brows we do and find flaws to improve upon. We all make mistakes, but the goal is to do better and be better than we were the day before. My fellow artist (Ana) says “You either get better or you QUIT!” So true! 2. I make corrections and adjustments on my own work and others ALL THE TIME. 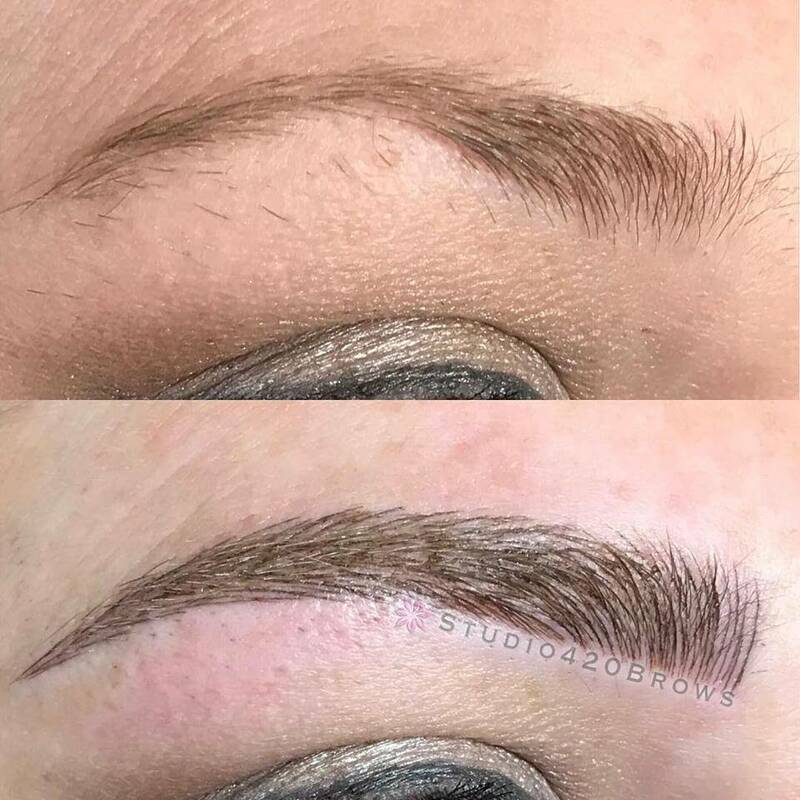 If something is bugging you about the brows I’ve done for you, please tell me – I can’t read minds, and if I don’t know about a problem, I can’t fix it. I want you to LOVE THEM. TRULY. 3. I’ve learned that LESS IS MORE. A subtle enhancement that is more natural-looking will have a longer shelf-life for your brows and you’ll have no regrets. Tattooed brows are an ENHANCEMENT, and not the end-all-be-all. 5. All skin is different and reacts differently to the pigment. We have NO IDEA how well you will heal until we see you at the touchup – we just do the best we can with all cases and scenarios presented. 6. Clients pick their artist based on a myriad of reasons – location, price, personality, a personal referral, online reviews, their number of followers/likes, pictures, etc etc. There are so many variables to choose from – and there’s basically a brow artist on every corner now. Some clients are loyal and will sing your praises forever, aaaand some are not – don’t take it personally! Just make sure to do your research before jumping on the bandwagon and altering your face. 7. Some fellow artists are amazing and supportive and inspiring. BE ONE OF THEM. Slamming someone else’s work does not make your own better. We all just want to succeed and help our clients feel and look beautiful. If you’re a fellow artist correcting someone else’s work, JUST. BE. KIND. Help your new client fix the problem without throwing other artists under the bus. Hopefully the percentage of happy clients vs unhappy clients is much MUCH greater for ALL artists. Give them the benefit of the doubt. Karma is the best comedian – and it’s very likely one of your own clients will go somewhere else for a correction. Just support each other and cheer each other on. Be helpful. There are enough brows to go around for everyone.